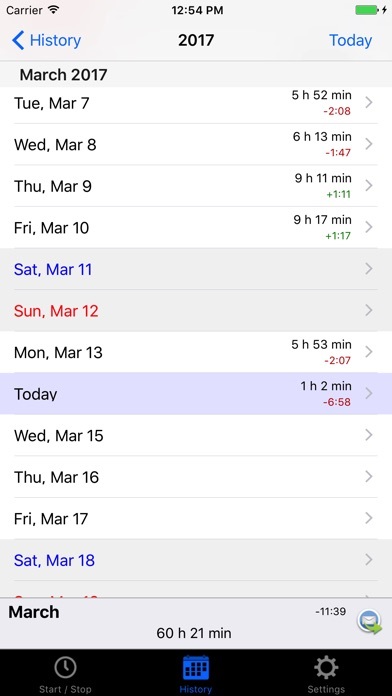 TimeOrg is an iPhone App which gives you the possibility to easily track your work times. With TimeOrg you will always know how many hours of overtime you have or how many negative hours you have. It is very useful for employees with flexible working hours or contractors. 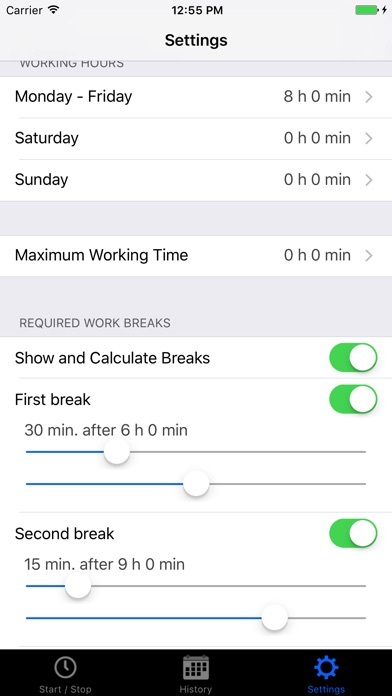 Features: - User-friendly interface - Automatic work break calculation - Daily, Weekly, Monthly and Annual overview - Overtime overview - Countdown timer for daily required work - Manual work time entry and modification - Export (In-App Purchase) - Backup (In-App Purchase) If you would like to see some other features, go to our Support page and share your ideas with us. This is a great app! Come on seriously update your app.I have paid for this app and you haven't had an update since 2012 I would really appreciate it if you would quit being lazy and update your app! I am a salaried employee who works for a micro-mgr. I began keeping track of my hours in mid-Oct & it was a pain to calc. This app does everything for me. We work 9-hr days so I love that I can change that setting. It's super easy. If you just want to track your hours but don't need to track your income or billable time, etc this is a great app. Finally, I love the export feature (worth the $2.99). So next time my boss goes on one on his tirades- BAM!' In your face sucka! Is there going to be an update to add 2013???? I really like this app. I wish I could change the order of the days, because my work schedule starts on Tuesday and ends on tuesday. This is so cool! My work day is finally under the control! I love this application! This gadget is one of the most useful one's I got off App Store. It allows me to better plan and organize my time! Thank you!